Jawbone has started a program for businesses offering them bulk discounts on Jawbone fitness trackers. The new service, UP for Groups, will give corporate customers a price break on big orders of fitness trackers. For companies with more than 10 people participating, there are a few new software features as well. For instance, your band of coworkers can be organized into a group, with an administrator who can dole out challenges and customized messages. Participants can look at the group’s aggregated stats and participate in group-wide step contests. UP for Groups works with the Jawbone UP 24 and the still-unreleased UP 3. But many businesses will likely opt for the entry-level UP Move, which costs $50 at retail. Don’t worry: Your colleague in accounting won’t be able to look at your specific sleep totals or daily activity. Jawbone promises that no administrator can see personal data unless specifically granted permission, and group statistics don’t start to appear for everyone until at least five people are syncing that activity. The idea behind this kind of workplace fitness program is that it’s in companies’ best interest. Jawbone provides a chart derived from UP tracker data in New York that shows that people tend to take a lot of steps during their morning and evening commutes — and move very little during the working day. If better physical fitness can lead to improved productivity (and there’s evidence to indicate it does) and lower healthcare costs, then the cost of a fitness tracker looks like a bargain. 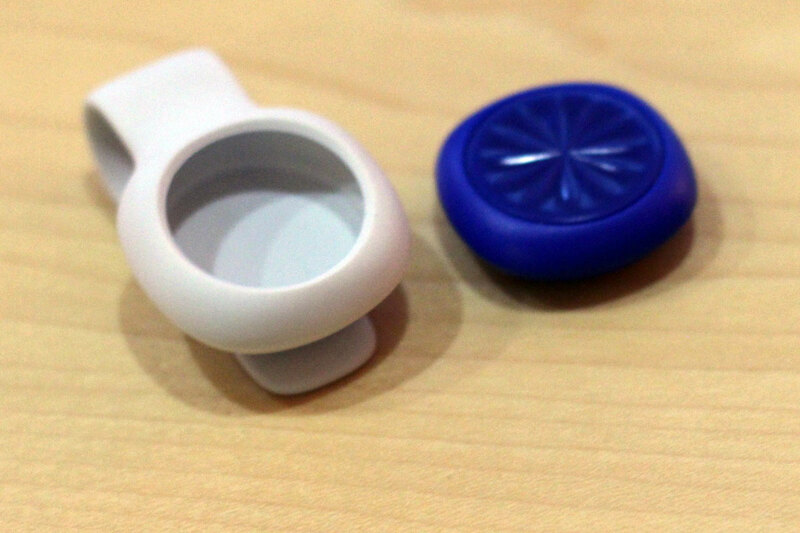 Jawbone isn’t the first fitness tracker to incorporate a social group aspect to its products. Competitor Fitbit has its own corporate wellness program, and insurance provider Oscar recently announced a rewards program tied to steps tracked by a Misfit Flash. While personal fitness metrics and step goals can help people get moving, nothing beats good old-fashioned peer pressure. I’m doing research in this context and wish them luck. It is vastly different than the consumer space. There are also amazing opportunities.